How to plot 4D points on a 2D plane with the third coordinate being the size of the symbol and the fourth defining the color of the symbol? 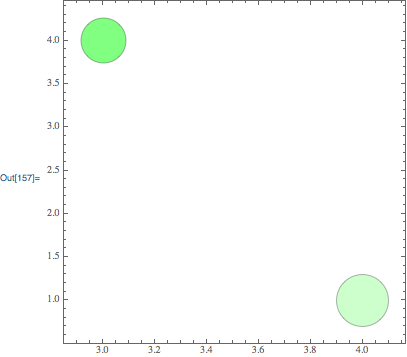 I want to plot the x,y coordinates of the points on the 2D plane and use the z coordinate to define the size of the symbol (bubble radius or area) and the last coordinate to define a color for that bubble. So the color will be different depending on the fourth coordinate. Any help would be appreciated ! Just join all your data and use J.M's code. Edit Here is a workaround. I am not sure this is what you want. You can use Ellipse instead of Disk and scale radius differently to overcome distortion. Not the answer you're looking for? Browse other questions tagged plotting charts or ask your own question. How do I find the intersection of a closed 3D curve given by numerical data with a specified plane? How to pass options to ListPlot when using a DataSet? How to write a similar “for loop” with table? 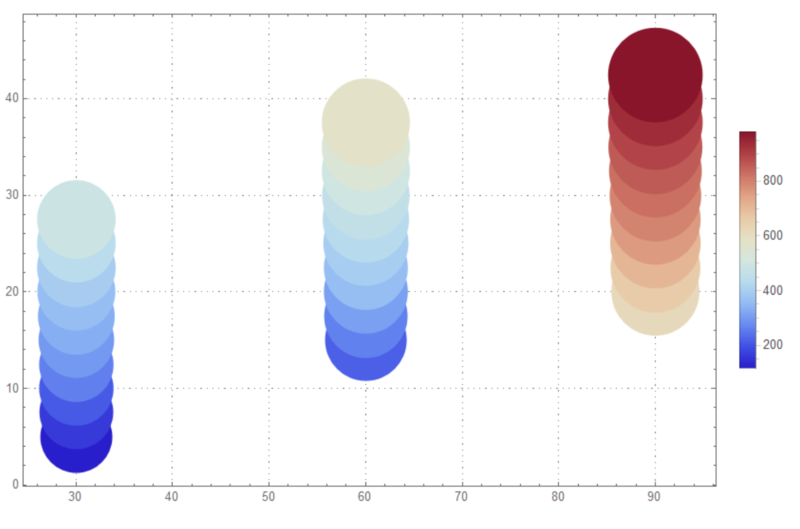 How to plot points in a color corresponding to some value? Circular table (spreadsheet like) - is it possible?